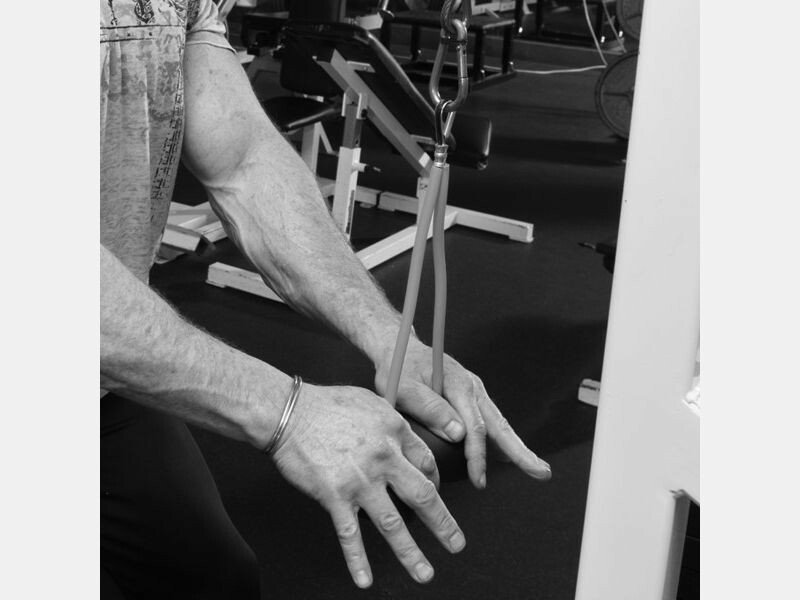 Throw down against the weight stack with all the flexibility available in your wrists! 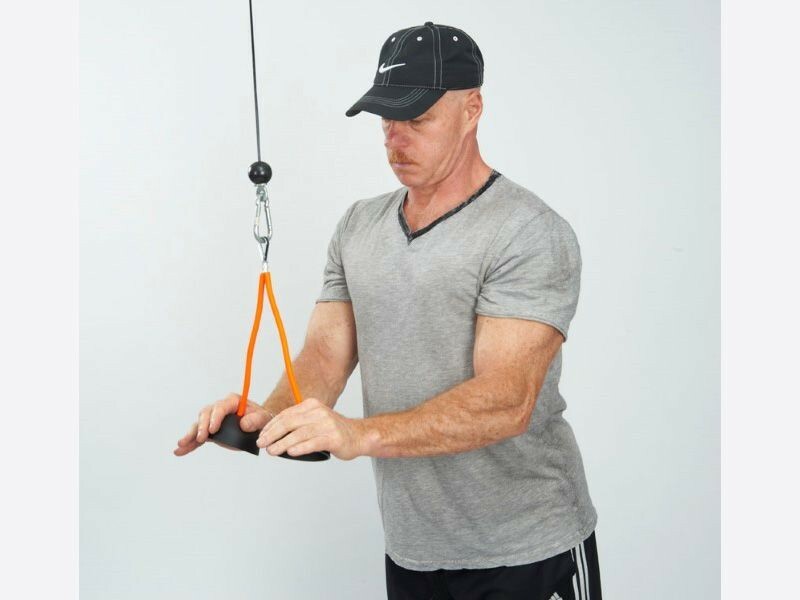 The patented Tri-Bell is a heavy duty device that allows you to grip in a softball or open hand grip in order to isolate your triceps better and avoid wasting energy on keeping your grip. 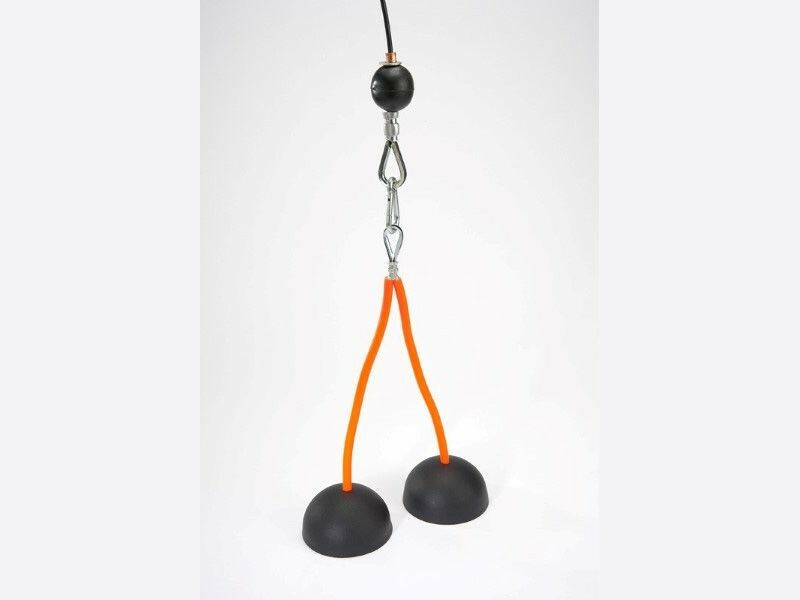 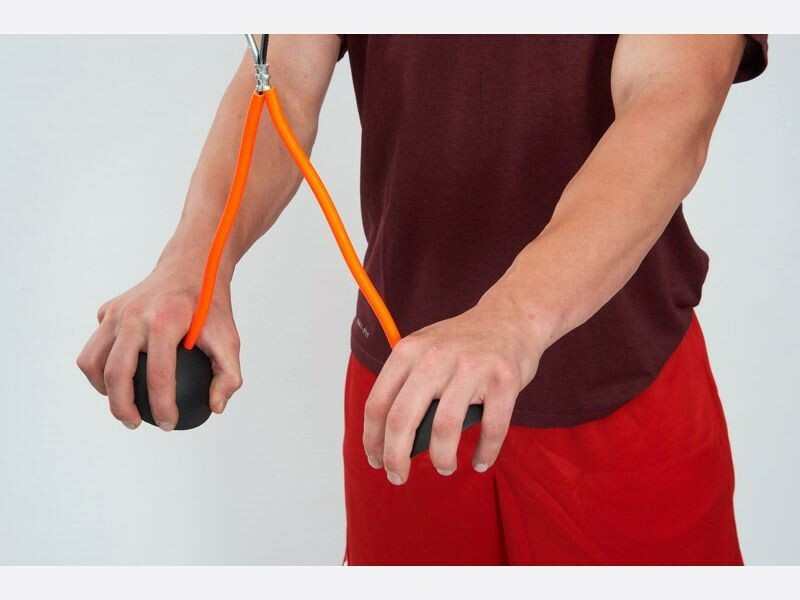 You'll toss out your conventional tricep rope after using this device.